Facewash is one of the most frequently used skin care product for most people. It is advised by most skin care experts to wash your face with a gentle facewash atleast twice a day, in the morning and at night. Because just splashing water on your face is never enough to remove dirt, sweat etc and bring your skin back to 'clean' state. For some personal care products, I'm quite particular to use products based on certain ingredients or coming from certain brands; but for facewash I don't mind switching to one that suits my dry skin type after every few weeks and so. 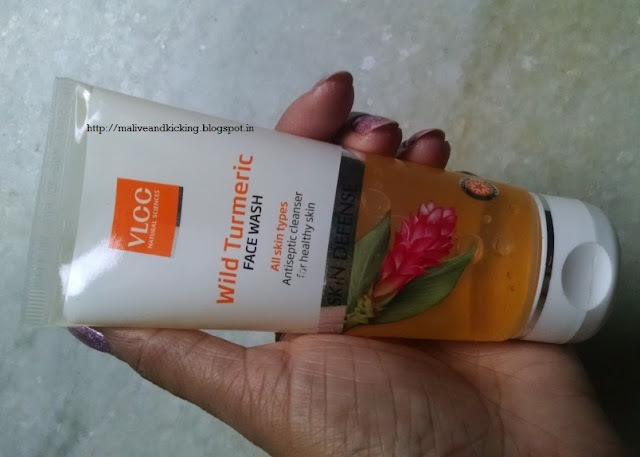 Today I'm sharing how the VLCC Wild Turmeric Facewash fared for my skin..
VLCC's skin defense range has listed Wild Turmeric Facewash in it that comes in a soft tube. The tube has print all over about its ingredients, usage method, brand/product info which covers the tube and prevents seeing inside. 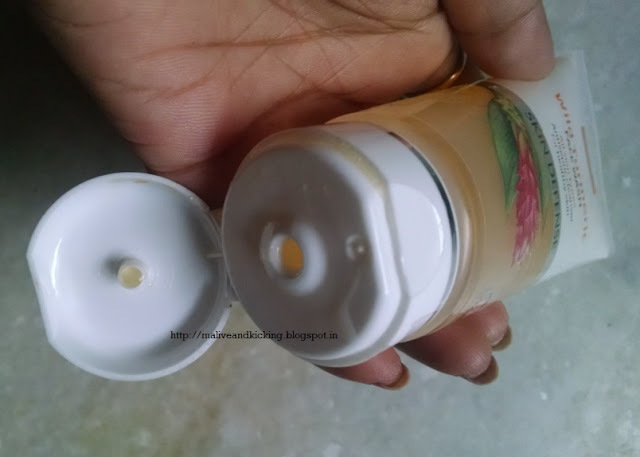 But a part of the tube is intentionally left transparent to keep a check on the quantity left in the packaging as you start using it. The facewash is golden yellow in color and has floral scent to it. The scent revives your senses as you cleanse your face with it. The consistency of the product is like usual facewashes, not so thick but more on runny side. On applying the facewash over moistened skin, it doesn't create much foam; but cleanses impurities off the skin. Just 2-3 drops of the liquid suffice to do the job, so this 100ml pack would surely last for more than a month despite everyday use by one person. 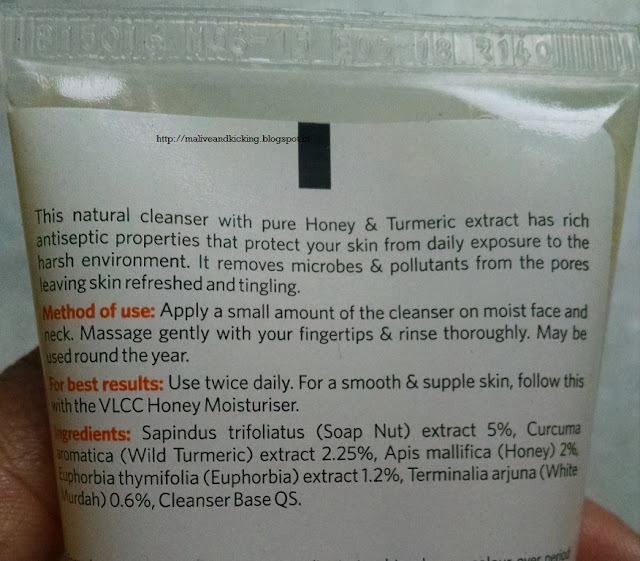 The product claims to be an antiseptic formula for its turmeric extracts, so I expect it to be effective for curing acne (though I've not experienced it as I have no acne). 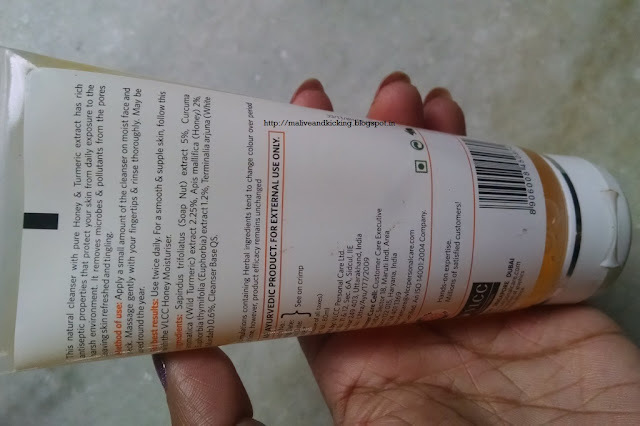 The turmeric in the facewash brightens the face after use, but thats not a permanent glow since the product is meant for cleaning the surface of the skin. But yes, it will keep the bacterial infections at bay that usually occur in summer season. 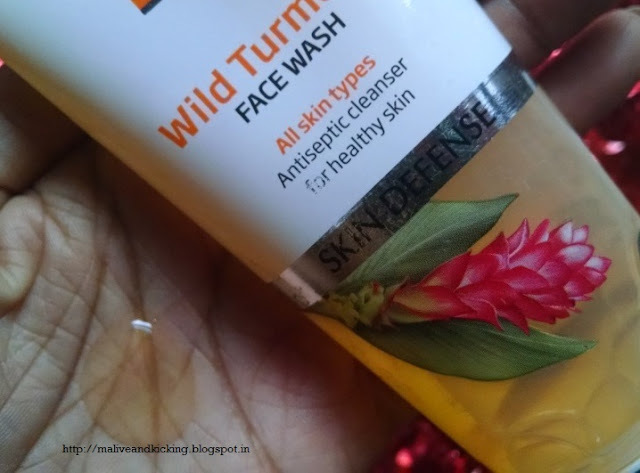 Upon using this facewash, my skin feels just the normal; neither overdry, nor much hydrated which the other ingredient Honey should have done. The skin doesn't feel stretchy as such, and I may leave it like that. But I'm sort of habitual of layering my skin up with mild moisturizer, so I do that after using this facewash too for maintaining the skin elasticity. I feel this facewash would be loved more by oily skin type and it will removes excess oil very well. In a nutshell, VLCC Turmeric Facewash is a good option for every day facial cleansing round the year that won't cause any breakouts and will control excess oil secretion effectively. For normal to dry skin, one needs hydration of skin post usage. Turmeric is such an amazing product for skin care. This face wash from VLCC sounds quite nice.